Having taken six wickets in India’s win over Australia in the Adelaide Test, Ravichandran Ashwin has moved up one spot in the latest MRF Tyres ICC Test Rankings for bowlers, with Pat Cummins dropping down to No. 7. Mohammad Abbas dropped from No.3 to No.4 in the rankings for bowlers after missing Pakistan’s third Test against New Zealand with a shoulder injury, South Africa’s Vernon Philander swapping positions with the Pakistani fast bowler. There was no other movement in the top ten, with Kagiso Rabada maintaining his hold of the No. 1 position. Australia's lower order fights hard, but India hold on to seal their first Test victory in Australia since 2008. While Cummins slid down the rankings, after finishing with figures of 2/104 in Adelaide, his team-mate Mitchell Starc climbed two places to No. 16 after taking five wickets in his side’s 31-run defeat in the series opener. Jasprit Bumrah was a big climber, rising five places to No. 33 in the rankings after taking 6/115 to help India to their first Test win in Australia for over a decade, and he continued to enjoy a stellar start to his Test career. New Zealand’s series victory over Pakistan, guided by the spin of Ajaz Patel and Will Somerville, saw both bowlers enjoy success in the bowling rankings. Somerville, who made his debut in the final Test and collected match-figures of 7/127, entered the rankings as joint No. 63 with team-mate Ish Sodhi. Patel moved up 11 places to No. 66, after his maiden Test series saw him collect 13 wickets in three matches. For Pakistan, leg-spinner Yasir Shah’s stellar form sees him remain in the top ten at No. 9, while off-spinner Bilal Asif climbed five places to No. 58. In the all-rounder's charts, New Zealand’s Colin de Grandhomme moved up three places to No. 15. 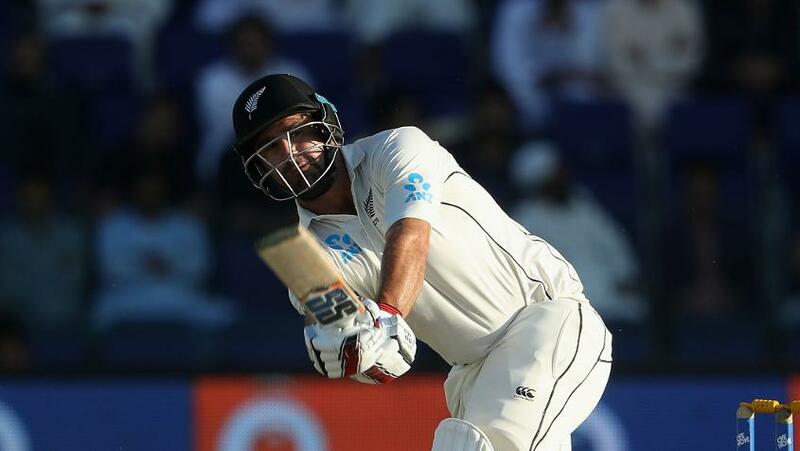 De Grandhomme hit a quickfire 20 in New Zealand’s first-innings, which he followed up with another blistering cameo in the second, striking 26 from 19 balls to help New Zealand declare on the final day and set up a target of 280 runs. The seamer then took the key wicket of Azhar Ali to help New Zealand to a famous series victory. Nathan Lyon was a major climber, rising seven places to No. 19, with India unable to dismiss him across both Australia innings in Adelaide. The off-spinner hit 62 runs to go with his eight wickets in the match. Pakistan’s loss to New Zealand saw a few drops for them, with Mohammad Hafeez falling six places to No. 31 after playing his final Test, and Haris Sohail dropping eight places to No. 53.